Early Response Team from Arkansas tarps a home to prevent further damage after Hurricane Michael in Port St. Joe, Florida. 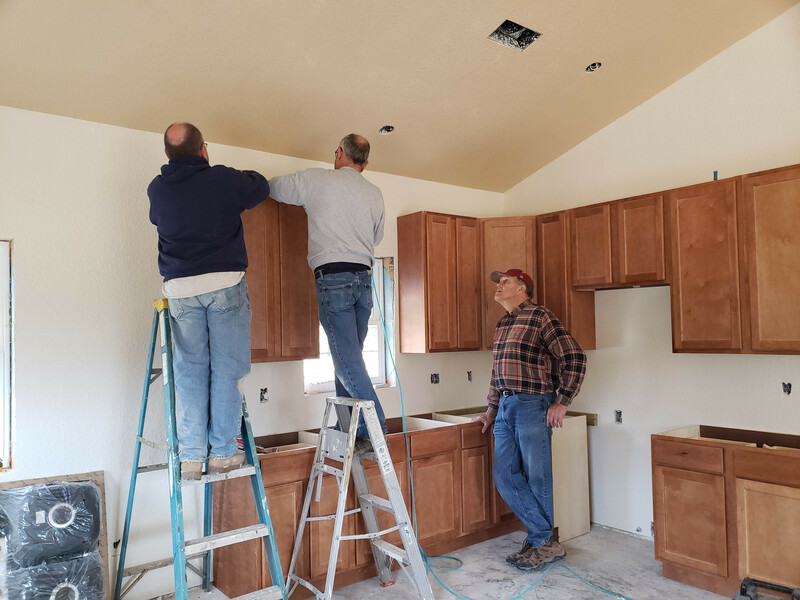 A team from FUMC Rogers in the Northwest District install cabinets in a rebuilt home that was destroyed in the April 2018 Crawford County Tornado. ECHO Village – construction of homes and facilities, Eureka Springs. 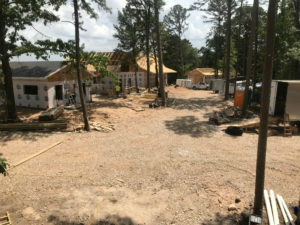 Crawford County Tornado Recovery – construction of a home to replace one destroyed by a tornado, Mountainburg. Delta Dream Facility Repair – repairs to facility, Marianna. Any of the wildfire, flood, or hurricane devastated areas are continuing relief and recovery efforts. For a complete list of VIM and DR projects see SCJ Disaster and SCJ Missions. Contact Byron at vim@arumc.org for more information and to schedule. Will be held Saturday, April 6 from 9am-5pm at Harrison FUMC. Email disaster@arumc.org to register. Registration deadline is Monday, April 1st. Registration fee is $20 and covers training materials and lunch. Spring Break 2019 is at First UMC Harrison March 20-23. Registration information at facebook.com/destination.mission<. For more information on Destination: Mission, click here. This training is for leaders of mission teams both domestic and international. This will also benefit ERT leaders. One of the questions being asked by providers of insurance is whether the team leader has been VIM Team Leader trained within the last three years. The training will be held March 9th from 9a-3p, and will cost $20 (covers registration fees, lunch and training materials). Email vim@arumc.org to register or for more info. 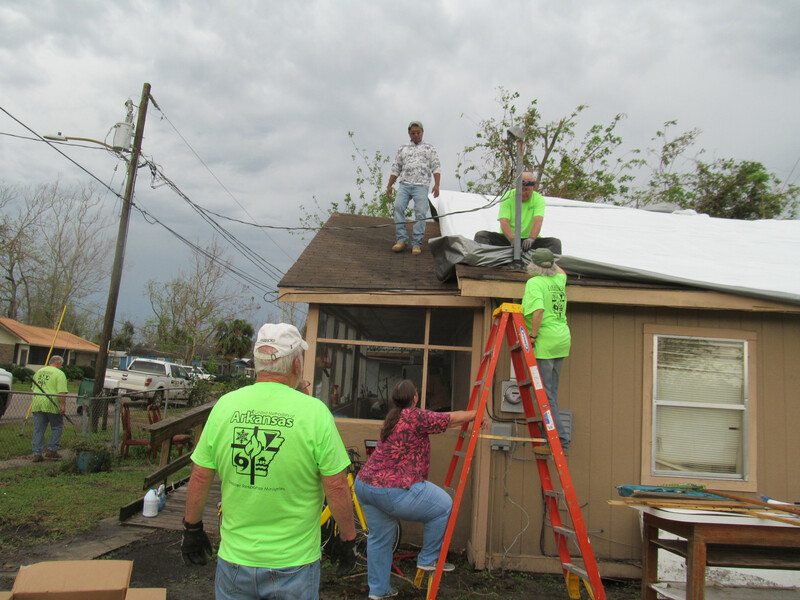 Local churches are vital as partners in Disaster Response Ministry. We would love to come talk to your group, class, or church and begin a partnership that will make a meaningful difference when disaster strikes. Contact Janice at disaster@arumc.org or see “Blue Skies” below to see some of the possibilities. ECHO Village is a unique concept of community living that is a group of small homes situated close together in which the residents living there work together to help each other in their daily living. The concept is that affordable housing is provided for seniors, handicapped, single parents, homeless, early prison release, veterans, low income individuals who need housing security. There will be a community garden, chickens, playground, community room, classes for parenting, finances, job skills, resume building, etc. Each person commits to helping their neighbors. These homes will be owned by Eureka Christian Health Outreach (ECHO) and rent at low entry level to enable individuals to get a leg up on their economic situation. The community room will be available for larger gatherings and trainings. It will be a unique community that lives and loves together for the benefit of all. ECHO Village is a brand new community under construction. Phase I includes eight houses which are dried in and ready for finish work. Current needs are volunteer work teams especially for finish work on new structures. For more information or to schedule a work team contact Suzy Bell at mightywarriorrocks@yahoo.com or Byron Mann at vim@arumc.org. During the calm, we focus primarily on preparedness so that when disasters come, we are equipped to respond. During this time we are trying to connect with churches that are “go to, getter done” churches to respond when disaster strikes in their community or beyond. Ideally, these churches would name a disaster response coordinator, commit to having an early response team, and commit to having a series of trainings. These trainings wouldn’t be exclusive- other churches and resources in the area need to be reached to build capacity. We would love to hear from you or your church and meet to discuss this new vision of disaster response. Click here for a letter that better explains this vision. Watch here for more information about projects in the future and connect with us on Facebook for the most current updates. Our page is Volunteers in Mission & Disaster Response- Serving Arkansas & Beyond.